When the world’s number one makeup artist describes her new store as “falling down Alice’s rabbit hole into a world of makeup enchantment…” you know it’s going to be spectacular. And spectacular it is. 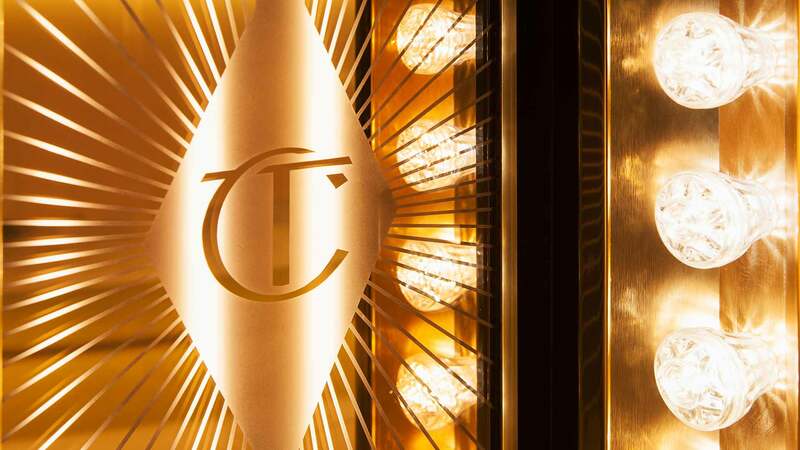 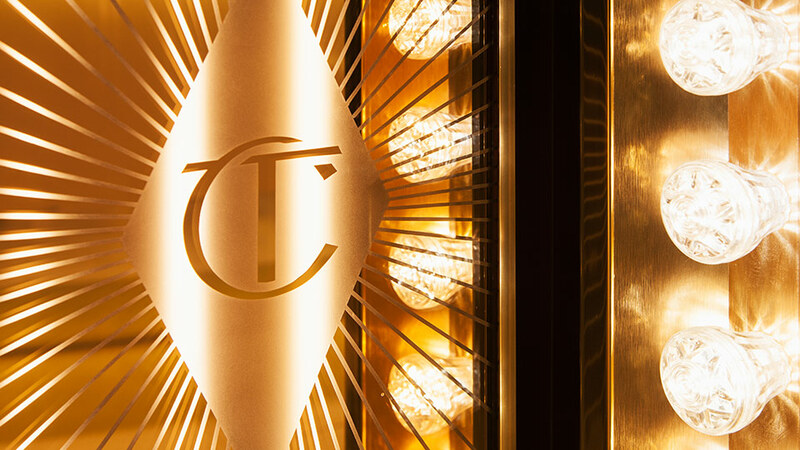 A beauty lovers paradise, the Charlotte Tilbury store is vibrant, luxurious and bursting with Hollywood-style glamour. 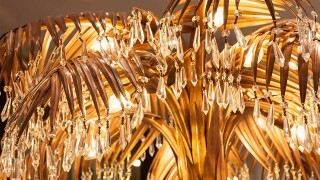 But it also incorporates the latest innovations – including the lighting design. 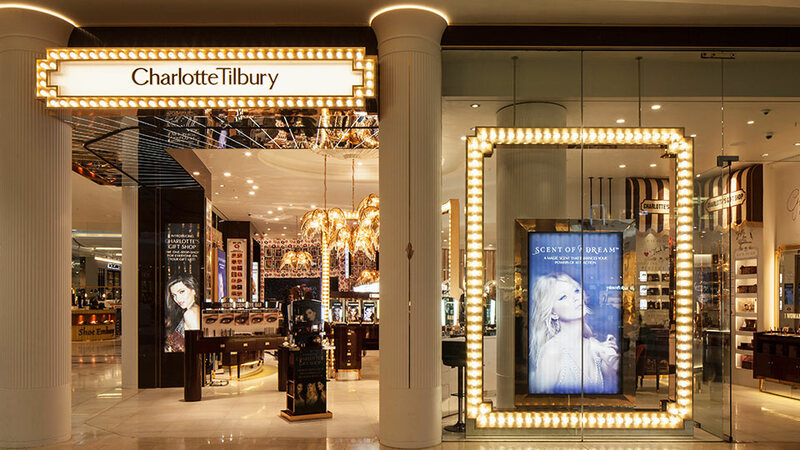 Our brief was to create a scheme that showcased the brand, added drama and provided authentic lighting to flatter skin tones. 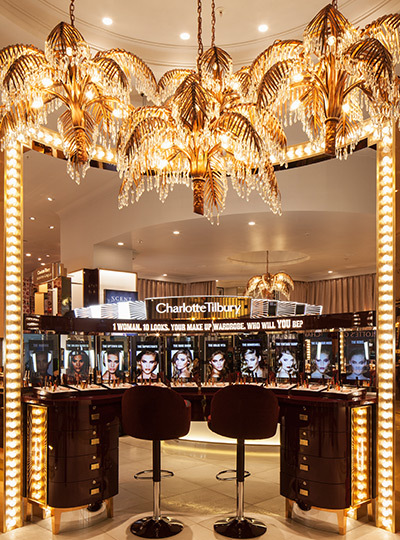 Throughout the store and at makeup stations, including the “Magic Mirror”, we used the pioneering LED light source – Beauty Series – that we developed with Xicato. 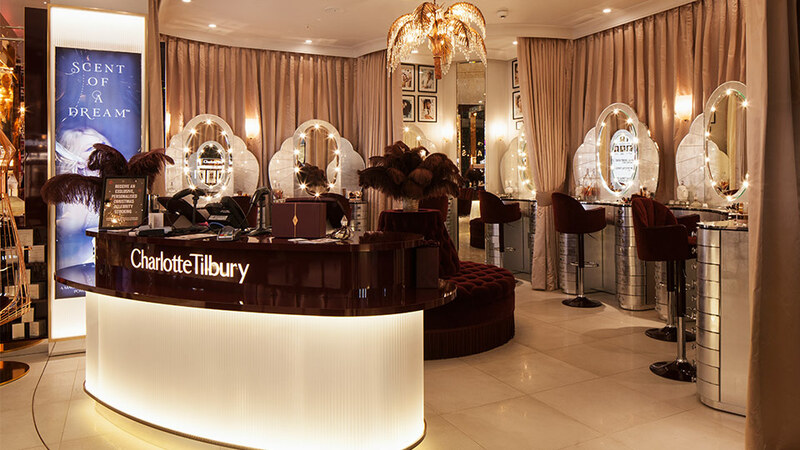 It produces the perfect balance between natural skin tones and the colour matching of foundation shades, giving customers an engaging and honest experience. 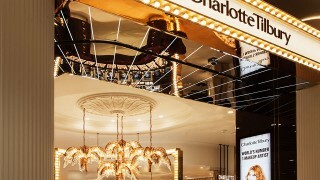 Different bars and boudoirs adorn the “Beauty Wonderland” and to set the right tone for each area, while making sure the light was still sincere, we decided to blend two different types of LED. Contrast in the lighting adds the required “drama” and, by using light sources with high colour rendering, the merchandise “pops” and “sparkles” allowing it to stand out from the interior’s vibrant hues. 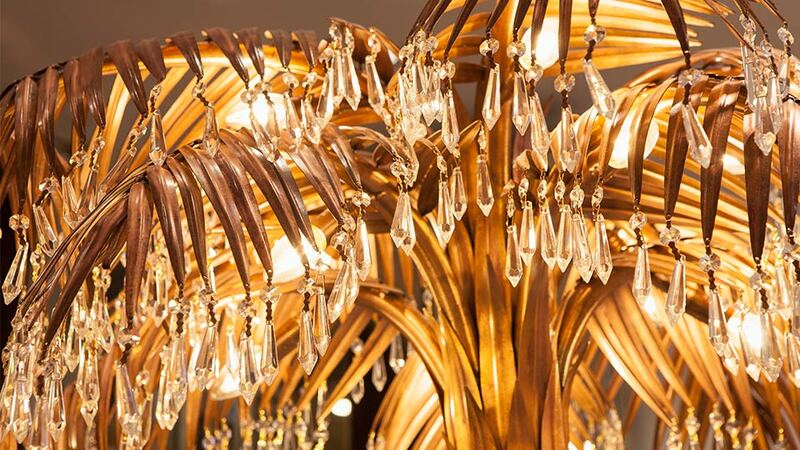 Blending light sources with a special ratio made a recipe of beautiful light, perfect for a glamorous beauty wonderland installation.